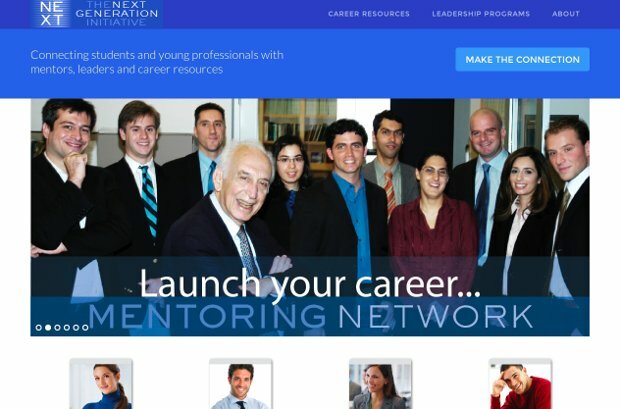 The Next Generation Initiative is an independent, non-profit educational foundation which helps young Greek men and women gain the skills, connections and experience their careers will demand, and the global perspective leadership requires — offering them career resources such as internships, and scholarships, as well as leadership programs like their Master Classes, which help next generation students learn directly from leaders and mentors on how to serve and give back to their communities. They have identified a generation ready to make enormous contributions to the world, and to their communities — if given the chance – a generation ready to walk through the door — and the founders, friends and supporters of the Next Generation Initiative are ready to open it. The Next Generation Initiative’s mission is to engage the young men and women of the next generation; embrace their efforts to reinvent and embody for themselves the core values of the heritage they share — a respect for education, an entrepreneurial spirit, and a striving for excellence; connect them with others who share those values;strengthen their ability to renew these values as vital resources for the future of their communities; and, empower them with the skills and experience necessary for effective and affirmative leadership.